The Apple Watch does a lot of things and does them pretty well. It is not a superb heart rate monitor but it does give you information to gauge your intensity while running for example. The apps are terrible but that is another story. So today at CES TwelveSouth launched a line of Apple Watch Arm Sleeves. 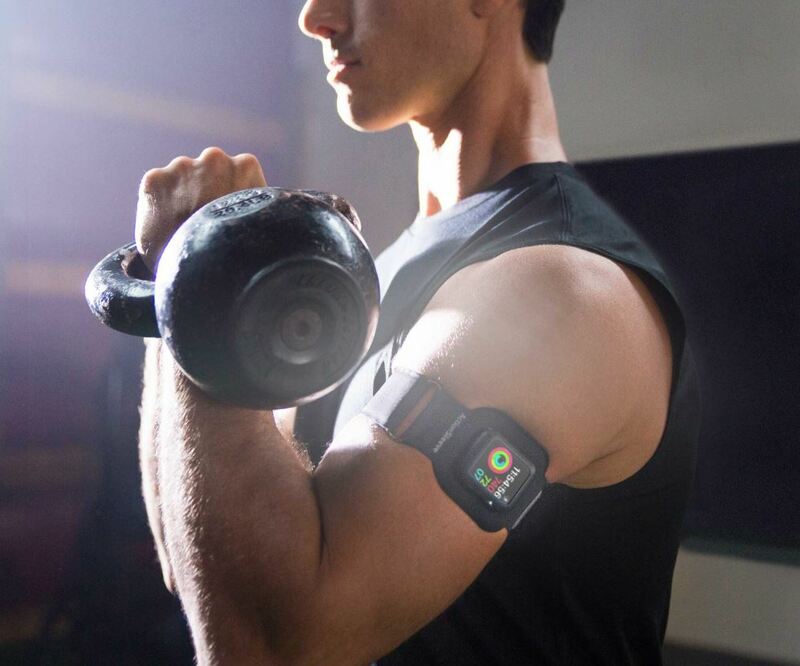 That’s right remove your Apple Watch from your wrist where is already too small in some apps to see any information and put in on your arm where you have no chance of seeing it. To be honest I have run into an issue working out with kettle bells that I accidentally smacked my apple watch while lifting the kettle bell over my head. But that has been the only time I have run into an issue. I don’t however see the need for one while running. TwelveSouth does claim that wearing the watch on your arm gives more consistent sensor monitoring. To that I say tighten the watch on your wrist slightly more. Previous articleDrone Lithium Battery Almost Burns House Down!